When I was a little kid, everyone always complemented my long hair, which was down to my waist. As a small child, I tended to take things very literally, so somehow it didn’t occur to me back then (we’re talking about when I was age four or five) that my hair could be any length if I just had it trimmed. I simply “had” long hair. So I grew up without really thinking about the length of my hair. I didn’t get my hair cut short until I was about 13. It was a radical change for me, and I liked it. I particularly enjoyed how feather-light my hair felt. Eventually I ended up growing it back out again, and it is once more down to my waist. Sometimes I still think about cutting it short, but I don’t because I know it takes ages to grow out again. But lately I’ve been thinking about the downsides. I’m waiting for a permanent dye to grow out of my hair, and because it is so long, that is now taking an age. So that got me thinking about all the practical and aesthetic considerations which go into deciding on the best hair length. I looked around and found that most articles on the topic focus exclusively on face shape. That is important, but there are so many other considerations. 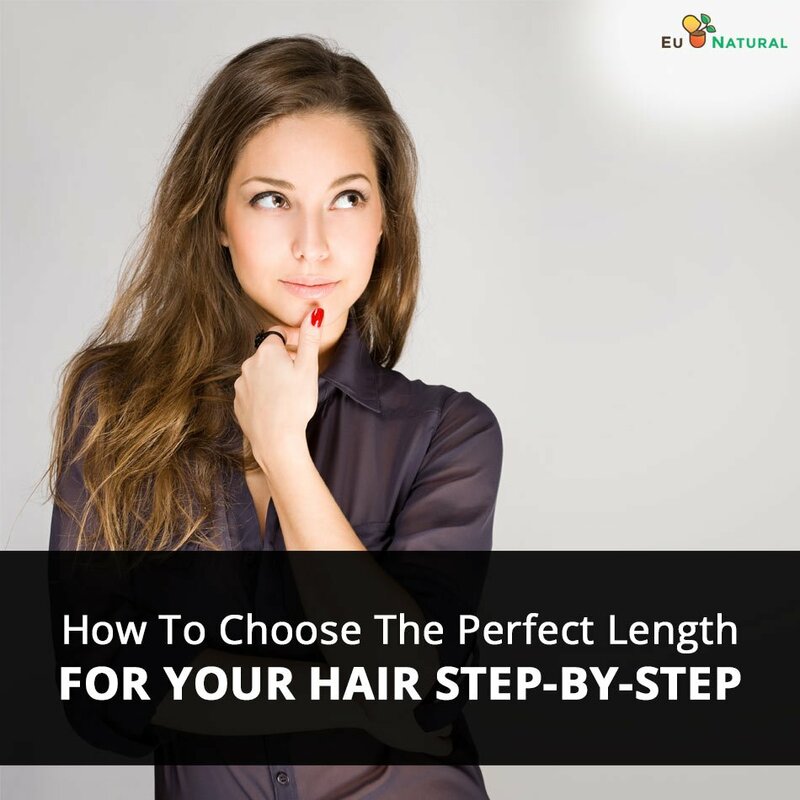 So in this article, I will go into all the factors I can think of to help you figure out what the perfect hair length is best for you. 1. Think about your face shape. Let’s go ahead and start with the obvious one—the shape of your face, and how your hair length does (or doesn’t) complement it. This is all subjective to some degree—you may not agree with someone else about what looks best. But the idea is to try and “balance” out your features using your hair, and avoid over-emphasizing characteristics which may appear awkward if they are out of balance. Your first step is to determine your face shape: oval, round, heart-shaped, long, square, or so on. One you’ve done that, you have a starting point for figuring out what may look best and what to avoid. Long face: Avoid long hair unless you have the volume to balance it out with some width. Likewise, steer clear of pompadours and similar styles which stand up on top of your head. A chin-length bob is one fabulous choice. Wide face (round or square): Longer styles may balance out your face shape, and are usually preferred. One exception is the pixie cut, which is considered a safe choice universally for any face shape. Consider side-swept bangs if you have a round face. Square or rectangular face: Go with sweeping waves and curls rather than hard, straight lines (regardless of length). Heart shaped-face: Longer hair is preferable. Particularly avoid cuts that end at the chin. Oval shaped face: This is a shape already considered to be “balanced,” so any length is fine. Don’t forget to consider your neck. If you have a long, elegant neck, a short haircut can show it off. Have a very short neck? Don’t choose a hairstyle which ends at the neck. Instead, pick one which is longer or shorter. A high hairstyle may also work well, since it will pull the eye upward. Also think about whether your face is flat or not. This will impact how your fringe falls, if you decide to have a fringe. If your face is flat, pretty much any fringe can work. If you have a rounder forehead, you may have more difficulty picking a style that won’t be disrupted. This might sound weird, but you might also want to consider your body type, bone structure, weight distribution, and so on. I notice for example that on “limp hair days,” my face looks small, because it is outbalanced by my curves. This can be an annoyance with my hair being long (see the next section). I didn’t have as much of that issue with short hair, because my hair had more body (probably why I thought my short haircut put an end to my “awkward” phase at age 13). Remember, there are no hard rules here. We’re talking about hair, not particle physics. Style is something we create, and the best style is the one that suits you, not just someone else’s perception of your face shape. I for example think that wide faces are aesthetically pleasing, and I actually like hairstyles that emphasize them rather than attempt to lengthen them. In any case, it is an important consideration, no matter what you ultimately decide to do. But it is far from the only one. Let’s look at some other factors you should think about. For “normal” hair texture, you can get away with any length, but if you have a different hair texture like extra fine hair, you have some additional considerations when it comes to choosing a hair length. Fine, straight hair: This is hair that likes to sit limply around not doing anything. The longer your hair, the heavier it will be, and the limper it will look. Shorter haircuts usually result in more body. Consider layering. Thick, curly hair: If your hair has more volume than you’d like, tame it by growing it longer. This will add weight, calming it down a bit. Super frizzy hair: Layer your hair instead of going with just one length. This will keep the volume through the middle. Otherwise, your hair may fan out at the bottom (a look which does not really flatter anyone, and emphasizes the frizz). 3. Figure out what statement you want to send. Some hairstyles send a message which is quiet, relaxed, and conservative. Others are loud and bold, with a message of rebellion and a free spirit. Still others may have even more specific connotations, depending on their histories and famous people who may have worn them at one point or another. Take those messages into account when you choose a hair length. You want your style to reflect your personality. Long, flowing hair for example is not a very “modern” look on a man or a woman—though it can be carefree. Short hair may be more “hip,” but it is also typically more conservative. Of course, that isn’t the case if you have a high pompadour or another “loud” style. 4. Think about your day job and what is practical. Sadly, most of us are not in a position to have any hair we dream of, because we have day jobs with strict appearance requirements. If you are a man, you might be required to keep your hair above your collar, for example. If you are a woman, you are expected to stick with shoulder or armpit length hair (or any shorter length). Longer hair is considered inappropriate. The rule usually is not as strictly enforced, but hair down to your waist or hips will usually be frowned upon. Keeping your hair work-appropriate is most important if you are between jobs and interviewing regularly, or you are just starting out at a new workplace. After you spend some time at a job, you will get to know how severe the rules are regarding appearance. If you are lucky enough to have a more liberal employer, or you work for yourself or do not have to work at all, feel free to grow your hair as long as you want. 5. Consider the maintenance you are willing to do and the money you are willing to spend. Even though short hair feels carefree, it actually requires a great deal more care and attention to maintain than longer hair. Long hair is easy to cut on your own, so you do not actually need to go to the salon unless you need or want help maintaining a more elaborate long hairstyle. But with short hair, unless you are a very talented stylist yourself, you probably will have to go the salon on a regular basis in order to maintain your haircut. This involves time and money, so think about both before you commit. 7. Ask yourself how you want your hair to feel. 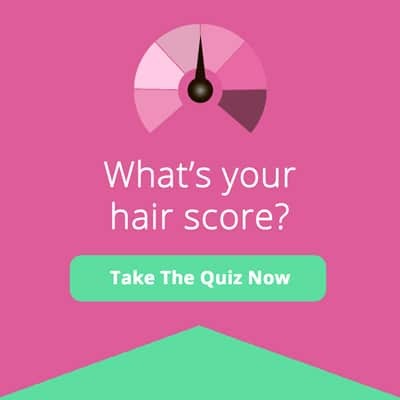 Do you want to be able to run your fingers through waves of smooth, silky hair, admiring your tresses in the mirror? Or would you prefer the light, weightless feel of short hair, the breeze teasing the back of your neck? How your hair looks is important, but how it physically feels is another important consideration! 8. Weigh practical considerations involving other things you might want to do with your hair (styles, dye, etc.). There are a lot of hairstyles which you can really only do if your hair is a certain length. For example, you can hardly have a super long ponytail if you have medium or short hair. And if you have really long hair, good luck wearing a French twist that isn’t going to be ridiculously heavy and uncomfortable. But if you have really short hair, you aren’t going to be able to wear any updo. So make sure you are picking a hair length that is compatible with the styles you love. Another thing to think about is hair dye. If you dye your hair regularly, shorter hair can make your life a lot easier. For one thing, you don’t need as much dye to get full coverage. For another, you do not have to wait as long for permanent hair colors to grow out. This can be helpful if you change up hues frequently but don’t like dyes which fade within just a few weeks. 9. Consider your basic sense of aesthetics. Let’s get really un-technical for a moment. You like what you like. If you love the idea of long, flowing hair and every style magazine you read tells you that you must have short hair to suit your face type and hair texture, you know what? Screw all that advice! Choose the hair that expresses your aesthetic and your personality, and you will probably be a lot happier. Now you can see why face shape isn’t the only thing to think about when it comes to choosing a hair length! It is important, but so are matters of style, maintenance and practicality. Whatever length of hair you decide to go with, have fun and make the most of it, and remember, no change is permanent. You can always test out a different length in the future. Eventually, you’ll find what you like best!